In December, the S&P 500 (TR) gained 1.1%, posting its 14th consecutive monthly gain, the longest monthly streak on record (data since Sep. 1989.) 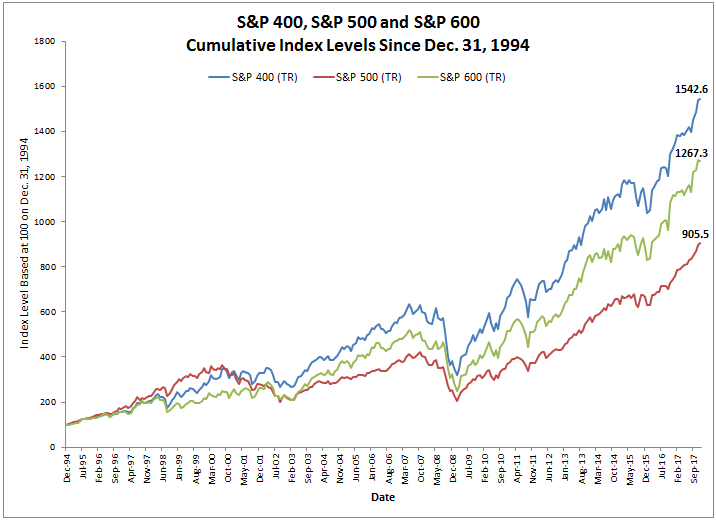 Also, the S&P MidCap 400 (TR) gained 0.2%, while the S&P SmallCap 600 (TR) lost 0.5%, bringing the 2017 performance to a respective 21.8%, 16.2% and 13.2% for the S&P 500 (TR), S&P MidCap 400 (TR) and S&P SmallCap 600 (TR). 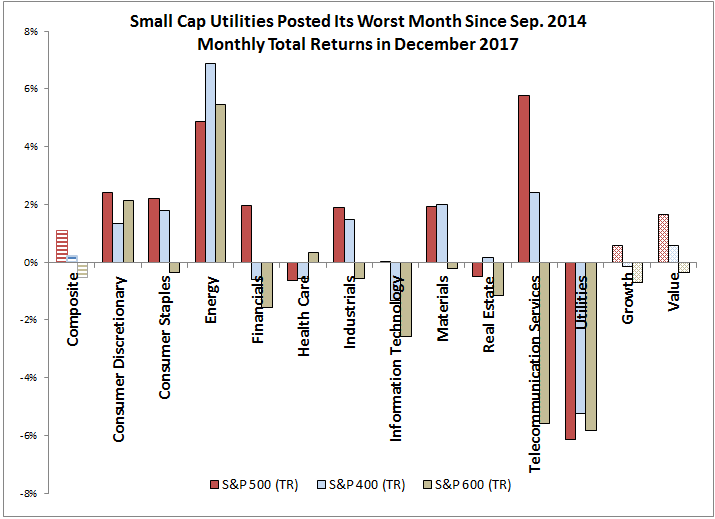 Though in December, the energy sector gained most in mid-caps (+6.9%) and small-caps (+5.5%,) while telecom gained most in large caps (+5.8,) nothing notable in sector performance on the positive side happened in December. 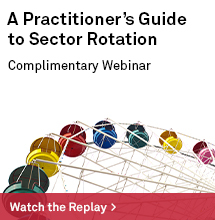 However, the utility sector had a particularly bad month. The S&P 600 Utilities (Sector) (TR) had its 13th worst month on record, losing 5.8%, its worst since Sep. 2014, while the S&P 500 Utilities (Sector) (TR) lost 6.1%, posting its worst month since Feb. 2015, and the S&P 400 Utilities (Sector) (TR) lost 5.2%, posting its worst month since Jun. 2015. Despite the gains in Dec. from energy and telecom, it wasn’t enough to get their sectors positive for the year, but all other sectors (9 of 11 in total) were positive across market cap sizes in 2017. During the bull market since 2009, at least 9 of the sectors have been positive across market caps in every year except in 2011 and 2015, which is a much higher positive move in lockstep than the 50% rate before 2009 (back to 1990.) 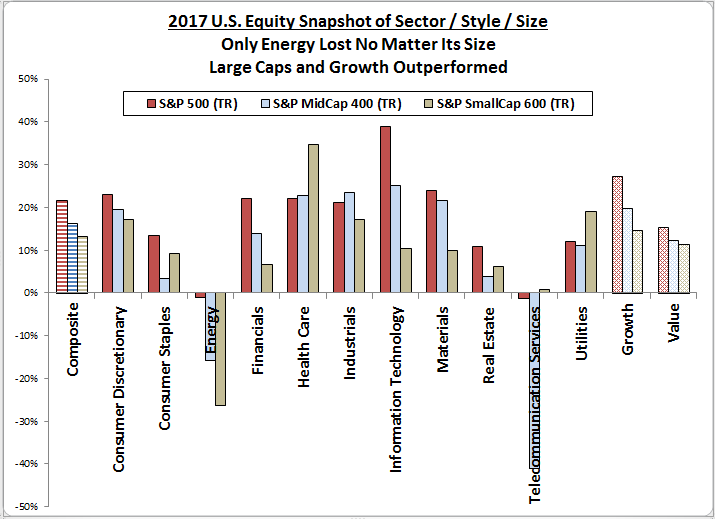 Note energy was the only sector negative in 2017 across all market caps, which is not surprising in a positive year for the S&P GSCI Energy (+12.3%). 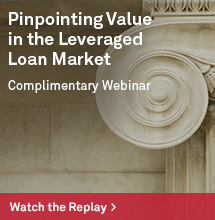 -1.7%, -2.0% and -1.7%, respectively for the S&P 500, S&P 400 and S&P 600. The value premium and discount is also strikingly close when measured on an annual basis with average annual value premiums of 7.3%, 8.0% and 6.8%, and discounts of -8.0% -11.4% -6.7%, respectively for the S&P 500, S&P 400 and S&P 600. However, year by year, the style matters and in 2017 growth outperformed value by the 3rd most in a year and the most since 1999. While style mattered, and choosing growth over value would have paid off, choosing large-cap would have helped too, with 7 of the 11 S&P 500 sectors outperforming their mid-cap and small-cap counterparts. The size premiums on average per month are also very close (like style) with large beating mid in 49% of months, mid beating small in 54% of months and large beating small in 50% of months. On average in a month, when large beat mid, it was by 1.4% with a loss of 1.8% when mid beat large. Also when mid beat small it was by 1.4% and the loss was 1.5% on average in a month when small beat mid. When large beat small, it was by 2.2% and when small beat large it was by 2.4% on average in a month. So, there is an argument for the small size premium but on average in a month, it is small. 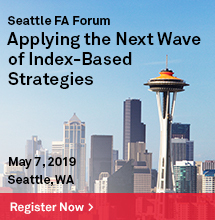 By year, it makes more of a difference with an average annual premium of 5.0% (large-mid,) 5.4% (mid-small) and 7.0% (large-small,) with respective discounts of -7.4%, -4.5% and -10.2%. 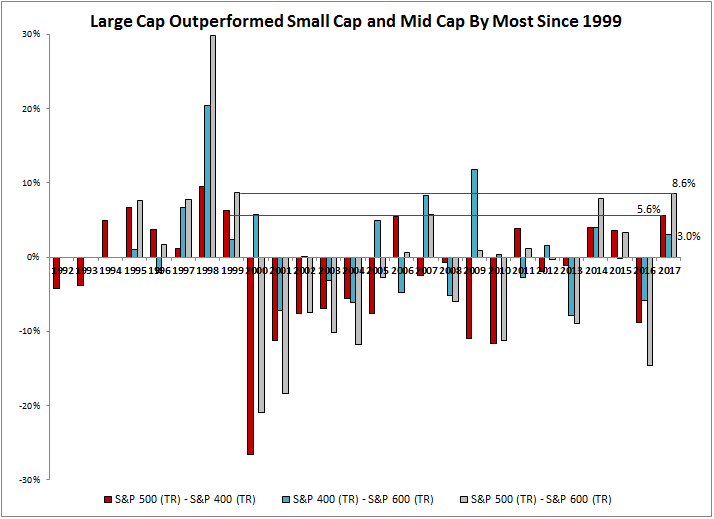 In 2017, large-caps outperformed both mid-caps and small-caps by the most since 1999. 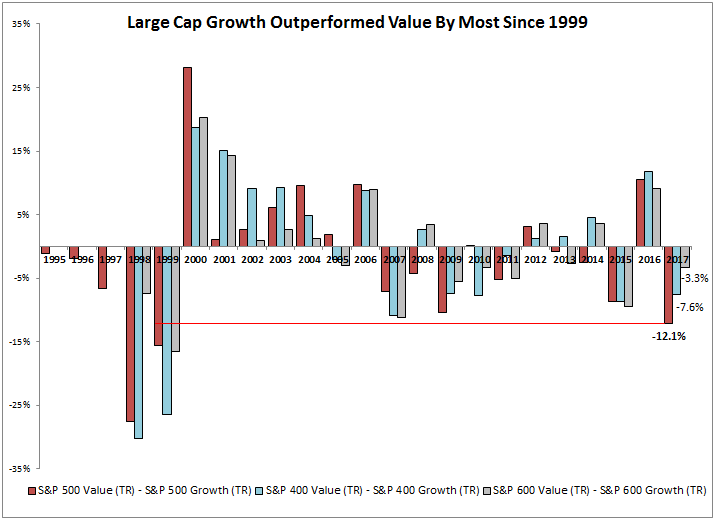 Based on history, it seems the large caps never held onto outperformance this big, so perhaps it will be a better year for the mid and smaller cap equities ahead. 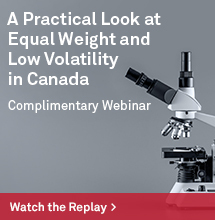 If it is time for small caps, and even more so value with quality, the S&P SmallCap 600 should be the small-cap benchmark of choice… and here’s why.